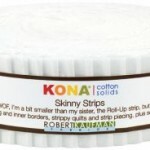 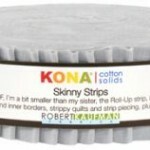 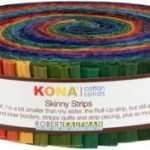 Skinny Strips are rolls of 1 1/2″ wide by width of fabric length (eg 44″ long) strips. 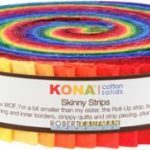 These typically contain 40 strips per roll, but this may vary so please see product description for details. 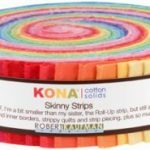 These are extremely useful for sashing, but can be used in a variety of ways.